Our sliced side serves approximately 10-12 people as a generous starter. Perfect for those who enjoy the wonderful wild flavour of a pre-sliced whole side of smoked salmon. Winner of 2 gold stars in the Guild of Fine Food’s Great Taste Awards 2014, a side of Wild Irish smoked salmon makes a wonderful gourmet gift. 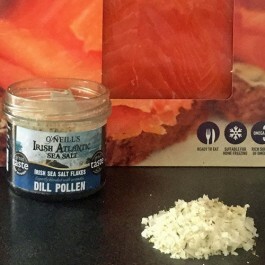 Ingredients: Wild Irish Atlantic salmon, salt, oak smoke., 1000g-1200g. 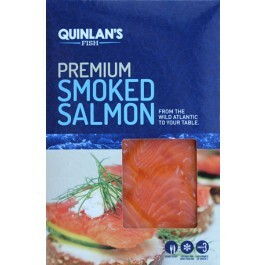 With over 60 years of experience, the Quinlan family have created a masterpiece with their Wild Oak Smoked Irish Salmon. Each Wild Salmon is prepared by hand before being cold smoked with native Irish Oak chippings. 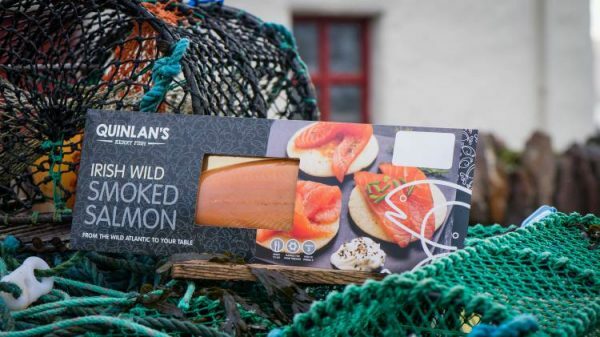 Our Wild Smoked Irish Salmon has achieved an enviable reputation for the excellence of its flavour and texture and its consistent quality. 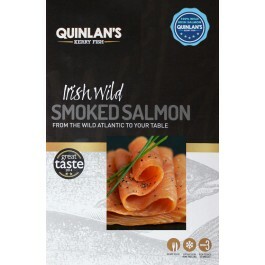 Quinlan’s Kerryfish Wild Smoked Irish Salmon will keep in a fridge for up to 3 weeks or can be frozen up to 4 months. Once opened, it should be eaten within 3 days.